Speaking of banknotes, you may well have read or heard about the gold rush with the new fivers. This week sees a similar gold rush for the newest pound coin. The devil in the detail lies within its engraving technique. Especially the 200,000 dummy coins that were rolled out before the 28 March 2017. In spite of the fact the dummy coins were issued to retailers, they have changed hands for £150 and £250. Their claim? 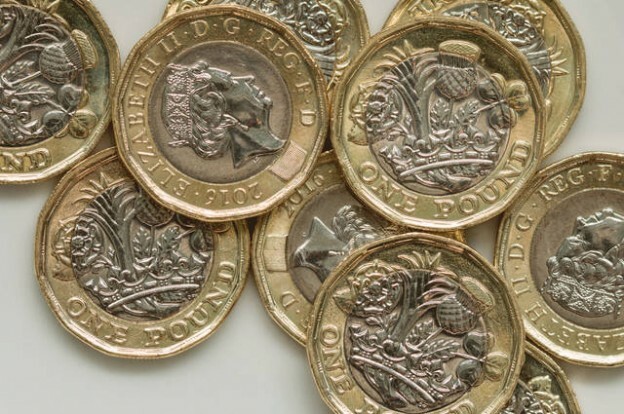 Each pound coin, as stated by its vendors, have the wrong year: 2016. Bimetallic design (nickel-brass and nickel plated alloy). With a more complex bimetallic design, it has more in common with the £2 coin. The main difference is the milled edges and its 12 sides. The original pound coin will go out of circulation on the 15 October 2017, so you have plenty of time to get them spent. Or saved. Since 1983, there has been 24 different designs: some of which representing the Channel Islands and the Isle of Man. Courtesy of The Daily Telegraph, here’s a 60 second clip on the making of our new pound coins. Able Engraving, 10 April 2017.